2018 Arkansas District Emerging Leaders step out of the day-to-day activities of running a business to sit in a classroom and learn how to take their companies to the next level. At right, Arkansas Instructor Melanie Berman leads the "students" in a seven-month intensive study of marketing, cash flow, federal contracting, as well as growth plans. Each year SBA arranges for seven months of intensive study with a select group of entrepreneurs in locations around the country to help propel them to new levels of growth, job creation and economic development. The opportunity is known as the Emerging Leaders Initiative. It provides free entrepreneurship education and training for executives of small, poised-for-growth companies. In the South Central Region, we celebrate the success of the following small businesses. At the end of the article is a list of Districts in the Region offering the course, along with contact information. In Houston, John Sage, owner of Accessible Travel Solutions (ATS) is moving across new paths to success after completing the training. John started his company after a skiing accident left him paralyzed. 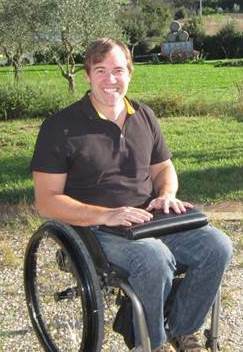 Although confined to a wheelchair, John’s passion remained travelling abroad. John found there was very little travel information for people with disabilities and that much of the accessibility information on the internet was vague, outdated or simply incorrect. As a result of spending more time than the average traveler researching and planning his trips, he discovered his niche - improve the travel industry and assist others who are disabled or elderly with unique travel requirements. His business was a hit and has helped thousands. In 2017, John was looking to improve marketing, financial management and improve his business plan when he discovered the SBA Emerging Leaders Initiative. 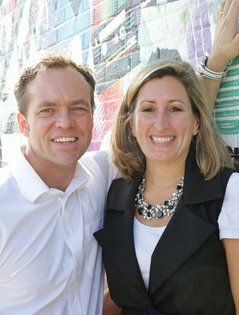 “The SBA and Emerging Leaders helped me figure out what priorities in my business I needed to focus on and which steps I needed to take first to resource and expand,” John said. John has since created eight full-time jobs in Texas, and now offers accessible travel services in more than 45 countries. Total sales volume exceeded $2 million in 2017 and his unique “Top 10 Accessible Travel Tips for Europe” guide has been published in a variety of tour guidebooks. In Oklahoma, Christian and Brooke Hargrove, owners of Empire Optical, are seeing business growth from a new perspective since completing the training. Hargrove, who developed a Growth Plan for his business as part of SBA’s Emerging Leader class, credits the class with helping to chart a new path for his family business that culminated in the renovation of a building adjacent to his previous location. “Emerging Leaders convinced me that we needed to continually network with people who have creative ideas in retail,” he said. “We can’t get stale – if customers are moving in different directions we need to know it. 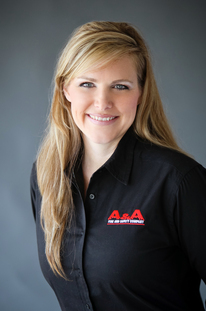 In Arkansas, April Broderick, having grown up in her father’s fire extinguisher business, A & A Fire and Safety Company, LLC, took the helm in 2014 with a goal of branching into federal contracting. She soon learned she needed training and certification to be successful in the federal arena, and she also discovered that to be competitive as a woman in an industry dominated by men, she would have to overcome many barriers to keep her business solvent. April sought assistance training and certification from the Arkansas Procurement Assistance Center (APAC) and the Arkansas Small Business and Technology Development Center (ASBTDC), an organization powered by the SBA. The year 2016 was a big one for April, as she gained entry into SBA’s 8(a) Business Development Program earning 8(a) certification, and was also accepted into SBA’s Emerging Leaders class. That same year, April landed a five-year, $1 million contract with Little Rock Air Force Base, and in 2018 was awarded several other smaller contracts. If you are ready to step up your business game, I encourage you to contact your nearest District Office to apply for the SBA Emerging Leaders Initiative. The intensive executive entrepreneurship series includes nearly 100 hours of classroom time, opportunities to work with experienced coaches and mentors, attend workshops, and develop connections with their peers, local leaders, and the financial community. Since its inception in 2008, the SBA Emerging Leaders Initiative has trained more than 5,000 small business owners, creating more than 6,500 jobs, generating more than $300 million in new financing, and securing more than $3.16 billion in government contracts.